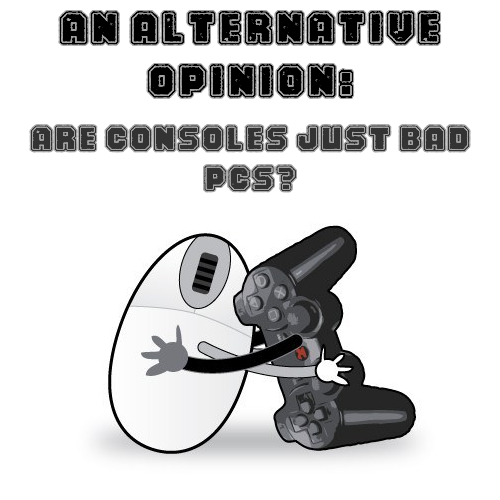 An Alternative Opinion: Are consoles just bad PCs? An Alternative Opinion is a weekly feature where Alt:Mag writers are given a question or topic, and submit their thoughts and opinions. 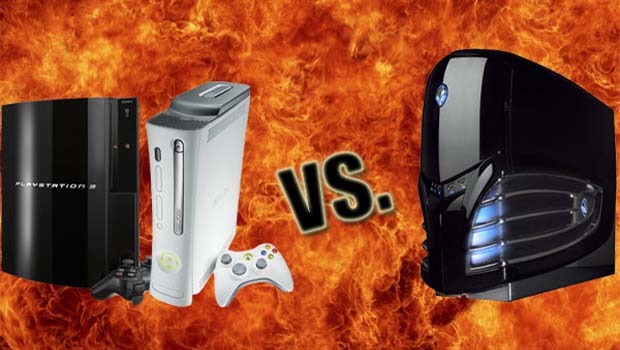 Today's topic of discussion is console gaming vs. PC gaming: are consoles just bad PCs? Aaron: There has always been a rift (for whatever reason) between PC gamers and console gamers. 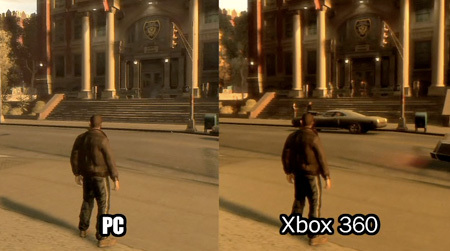 PC gamers feel their choice of system is superior because of the choice to upgrade their system and to enjoy higher graphics and larger online servers than consoles have been capable of achieving up to this point, while console gamers will praise the lower-cost of consoles, as well as there being more convenience in that you can just buy a disc, put it in the console and play. However, with gaming becoming more and more focused toward digital distribution, and so much emphasis in the mainstream market being put on graphics, it's becoming increasingly difficult to defend the console market. They're becoming more expensive (with a rumoured $500 being the price for the next Xbox), and the convenience is rapidly wearing away thanks to online-passes and the possibility of an always-on console that we discussed in our very first Alternative Opinion feature. When you take into consideration that nowadays console games often need huge patches before you can even enjoy them properly (such as the 1GB HD textures pack download for Battlefield 3), you do have to wonder what the advantage of console gaming really is. For me, I still feel console gaming is easier and more convenient (if not by much) and once you own that console, it will run any game designed for it without question, whereas PCs often need regular upgrading at potentially monstrous prices in order to keep running the latest games on the highest specs. However, if the console market does keep moving in the direction it seems to be headed, then perhaps consoles really will just become a sub-par PC. Lewis: When I talk to the few PC gamers that I happen to know, they tend to completely write off game consoles as bad PCs, but let's look at it from a different angle for a second. Growing up, my parents never bought me game consoles. I never had a PlayStation or a PlayStation 2 during their heydays (and I am still yet to purchase an Xbox 360 or a PlayStation 3). So if I wanted a good game that was popular on the home consoles back as a kid, I would have to find a PC version of it. I barely ever found what I was looking for, perhaps back then it seemed like consoles were the way to go for releasing games. Now a few PC gamers are probably angrily shaking their fists at me right now shouting: 'that was years ago you absolute cretin! ', but personally I think nothing has changed really. Sure, more games are appearing on the PC, as well as home consoles, but I think if you really counted up the number of titles available on consoles in comparison to those on PCs, you'd be provided with a much higher number. I think people seem to overlook this due to the high numbers of big budget and quality titles appearing on the PC, such as your EA games, Activision and Valve Corporation titles. But if you are someone like me who wants to play more obscure titles, you're screwed. I think it really depends on what games you prefer. When it comes to hardware, a high end PC will outshine a console hands down. However, a high end PC is expensive, while a console remains cheap and cheerful in comparison. Another problem is that if you do happen to invest in a powerful up-to-date PC, it's not long until it is out-of-date. Do you really want to have to keep forking money out to play the newest games? Or would you rather just invest in a video game console that doesn't need to be updated for what could potentially be a decade, even if it isn't played at perfect specs? Perhaps in the future PCs will take over consoles and then we can have everything on one system, but until then, I'm sticking with console gaming. 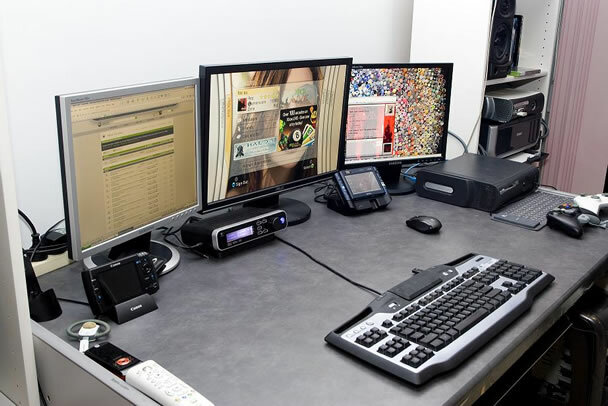 Do you think consoles are just bad PCs or are they the still the number one gaming format? Are PCs taking over in the world of video games? Let us know in the comments section below or by our Facebook or Twitter page.